Most Times we feel like moving on our own is cheaper but most often it comes with a lot of disadvantages and several things tend to go wrong. Professional movers are there to make sure that this disadvantages are contained and there is high reduction of these risks. Some mistakes Professional movers help you avoid. Personal Injuries gotten by trying to use the traditional means of moving by yourself and road accidents can be Avoided by getting people who have experiences and are professionals when it comes to moving. You can also avoid inflicting Injuries on yourself and avoid having accidents on the road while driving an overloaded vehicle or a big rented truck, and also avoid damaging your furniture or fragile goods. You are trying to avoid mistakes that are easily made when you try to move on your own. 2) Under-Estimating or Over-Estimating: Moving into a new home or apartment for the first time can be very exciting and stressful. 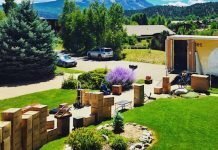 Under-Estimating and Over-Estimating can happen inevitably in the issue of Move Boxes and other Expenditures which can cost you more and therefore not making you have a smooth move. Professional movers help you by analyzing your items and therefore enabling them to know the best and easiest way of moving your items, all the boxes needed will be provided by the Moving Company. So if there are any estimation issues they will get that fixed because you have already paid for a smooth move. 3) Damaged Items: With Special Equipment’s, Professional Movers help you Pack and Move Heavy and Even fragile items easily and Safer, So you very little to no possibility of damaging Your Items during the Move, and Even if an Inevitable accident happen, Your Movers pay you a Commission for Fixing or Compensation. With Professional Help You are Mostly on the safe side. 4) Being Affected By the Weather: The days before the big move can be stressful, and chances are you’re not paying too much attention to the outside world. Unfortunately, if you’re not paying attention to the weather forecast, you could wind up trying to run the boxes to the moving truck/car through a blizzard or rain storm. But even if the weather happens to be Bad, Professional movers provides/uses materials needed to make sure that moving with that weather doesn’t affect Both the new and old apartment or office. And also provides water resistant materials for all items to prevent them from being spoilt. 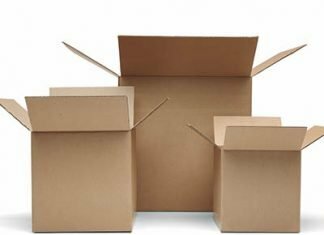 5) Not Knowing How Many Moving Materials You Need: When it comes to Boxes and other moving materials, Most times People, especially people that are moving for the first time might not know the materials or moving equipment’s needed to use. Also with the help of professional movers, you can be rest assured that you are in safe hands because they are more trained and experienced and they also know what is needed to make sure you have a smooth move. 6) Organizing Your Move without a Plan and Checklist: Packing for a move is, by far, the most time-consuming task you’ll ever face during the move. And not Planning and having a Checklist is one dangerous Mistake. Professional Movers help Categories your belongings, document and arrange them in a way that it’s so easy to Unpack and knowing none of your belongings was forgotten or lost. 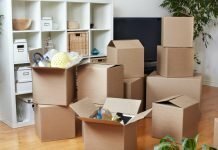 I Hope this Article was Helpful, Don’t forget to Share and comment about Situations where Professional movers have helped you avoid dreadful Mistakes. Express Movers is a premium moving company in Lagos, Nigeria. We have the best team of professionals that will make your move easy and stress free.